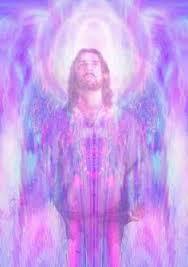 This is Archangel Zadkiel, along with Archeia Holy Lady Amethyst, and we greet you with Love. Today, we wish to discuss the Light of focused intention. You are living in a time of great opportunity. Much new and higher vibrational energy is arriving on your planet, and you are in control of the way in which you wish to shape this energy to meet your goals and state of being as you progress on your spiritual path. There is no right or wrong way in which you should shape it. It is totally your choice as to how you use this energy. The important thing is to be clear about how you want to use it and what you want the outcome to be. There are several points to consider when thinking about the new energy. It arrives in a neutral form. There are no predetermined outcomes. It has the high potential to manifest in whatever configuration you desire. 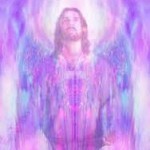 Because it is of a higher quality and the energy is moving much more quickly, the manifestation will occur more rapidly than it has previously. Therefore, it is very important to be clear about what you want. It is no longer helpful to dwell on things that could be less than positive for yourself or others. Wherever you place your thoughts will begin to shape the energy into the form of your thoughts, especially if they are accompanied by strong emotions. Therefore, the first step is to be clear about what you wish to manifest. This is setting a clear intention. There are many areas from which to choose. You can think about aspects such as your physical being, family, friends, career, spiritual path, or any other area that is important to you. There may be one area that leaps out to you for attention as you begin this process. For example, you may decide that you want to focus on your spiritual path. You may be considering adding a new spiritual practice, or you may be reviewing what you are currently doing to see if it fits who you are at this time. Remember that you are constantly evolving, and it is important that whatever you select in any area needs to feel right for you at this time on your path. In the review process, you may wish to consider different options. This could be compared to brainstorming. As you consider an option, see how it feels to you as you picture yourself doing it. Does it lift you up and make you want to embrace it? Or, does it fill you with a sense of dread? The way you feel when you picture yourself in this practice will give you a clue as to whether you want to add it, or if it is already what you do, it will help you decide whether to keep it. You may wish to consider an additional area, or you may decide to focus just on one for the moment. Once you have decided what you want to manifest, state your intention clearly. Get a focused picture in your mind of yourself in the situation. For example, if you want to set a time for meditation, state clearly to yourself that, “I am meditating daily,” or whatever words you want to add. Picture yourself selecting a time of day that works best for you. See yourself sitting in a quiet and calm spot that will invite you to meditate. Picture yourself feeling relaxed and happy as you enjoy your meditation time. See yourself at the end of your meditation time feeling fulfilled spiritually from your time in quiet communion. This is setting your intention and focus for the practice. The more you can picture or imagine yourself actually doing this, the stronger the intention and focus will be. When you add emotion and feelings to your visualization, it becomes even stronger and more powerful. Your intention to set a time for meditation becomes fixed in your mind. The more you focus on it, the stronger it becomes. As you begin to add actions to your intention, it increases the strength even more. If your intention is to meditate, each time you sit in your meditation spot and actually meditate, the energy builds and the focus on your intention increases. You have gone through a cycle of setting your intention and adding focus. You have reviewed the possibilities to consider and selected the one that feels most like you. You have stated your intention clearly. You have pictured yourself taking the action and feeling the rewards of having done so. Then, you have actually taken the action, and this has reinforced your intention. It is important to continue to put your intention into practice until it becomes a habit. The more you do this, the stronger it will become. You will have applied the Light and power of setting an intention and strengthening it with focus and resolve. Beloveds, we are happy that you are setting intentions for what you wish to manifest on your path. We are with you as you move through this process.